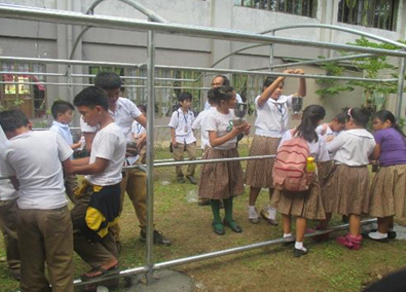 In February this year, the Gulayan sa Paaralan Project was completed in seven partner-schools in Malvar, Batangas, namely: San Fernando Elementary School, Malvar Central School, Luta Norte and Luta Sur Elementary Schools, Bulihan Elementary School, San Pedro I and San Pedro II Elementary Schools. The project which started in September 2017 was funded by the Canadian Embassy under the Canada Fund for Local Initiative (CFLI). Part of the project was the establishment of greenhouse facilities in the schools and conducting training workshops on organic vegetable gardening. 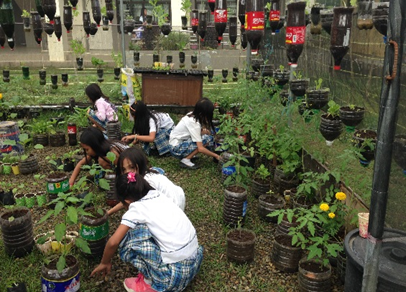 Gulayan sa Paaralan was aimed at reducing the malnutrition rate of students in partner-schools through increased availability of vegetable produce for students, as well as improved awareness on environmental protection through productive use of recyclable wastes and materials.